Extend your Holiday celebration by becoming part of the timeless Nutcracker tradition. 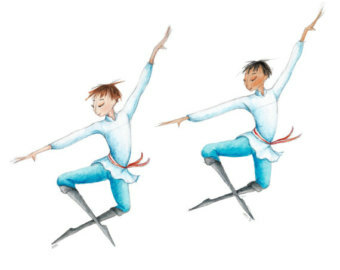 Join dancers of all ages and levels in creating a very special version of this classic story, presented to family and friends. Early-arrival and late-pickup, Extended Childcare - Grade School is available for grade schoolers as early as 8:00am and as late as 5:00pm each day for just $4/hr. Half-A-Nut Mini-Workshop For our youngest dancers, Ages 3 – Kindergarten, we offer an afternoon half-day opportunity to perform in the Snow and Waltz of the Flowers Dances. This is an excellent way for them to become familiar with the Holiday classic from the performers’ point of view. Students must be toilet-trained to participate. For an additional $20.00/day, registered Half-a-Nut students can come from 9am to Noon for Extended Childcare - Preschool and then join their Mini-Workshop in the afternoon. 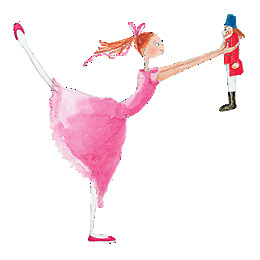 All Little Nutcracker Workshop and Half-A-Nut Workshop students participate in a special performance for friends and family at 2:15pm on the last day, December 28th, where they can share with their loved ones everything they've learned! Become part of a Holiday tradition and join dancers of all ages and levels in creating a very special version of this classic story. Dancers perform in a production presented for family and friends. Registrations completed by December 15th will receive a 15% discount off tuition. For our youngest dancers we offer an opportunity to be in the Snow and Waltz of the Flowers Dances. This is an excellent way for them to become familiar with the Holiday classic from the performers' point of view. Preschoolers who are toilet trained can come from 9am to Noon for extend childcare and then joint the Half a Nut in the afternoon. Please indicate which days you will need care. Early arrival and late pick-up child care begins at 8am and goes until 6pm. $4/per hour/per child. Please indicate which days you will need care. What if my child has never danced before? That's perfectly fine! This workshop is actually a great way for kids with little or no dance experience to get the opportunity to dance and learn something new in a low-pressure environment. Younger, less-experienced dancers will have the opportunity to see and learn from our teaching staff as well as our older, more-experienced dancers who make up our Metro Dancers company! Dancers need to be comfortable and have unrestricted movement. For girls we recommend pink tights with a black tank leotard, and for boys black boy tights or leggings with a solid white t-shirt. However, any color or style of leotard, tights or standard dancewear will be fine for the purposes of the workshop. If you have questions about appropriate attire just come a bit early the first day and we will assist you. Does PMA have any special rules about respectful conduct? On the first day of camp our staff will go over the general rules of conduct with the students and give them a tour of the building. Please remind your child that these rules apply to classes, breaks, and before/after camp. Whenever they are at PMA, we expect everyone to act in a safe, responsible and respectful manner. This is a time to learn new things and a time to socialize and form new friendships. When the rules are followed everyone can relax and enjoy themselves. Are there breaks for lunch and snacks? What should my child bring? Little Nutcracker Workshop--Please pack two nutritious snacks that can be eaten quickly and easily, with as little waste packaging as possible. There will be two short breaks to allow students to use the restroom and eat a small snack to keep their energy up. Sliced fruits or veggies, raisins, nuts, crackers, cheese sticks all are great. Students should bring a water bottle with their name on it to use throughout the week, otherwise, bottled water can be purchased for $1.00. In addition to the snack breaks, we have a half-hour supervised lunch break. A more substantial meal should be packed for that time. Please pack lunches that do not need to be heated. Half-A-Nut Workshop-- Please pack one nutritious snack that can be eaten quickly and easily, with as little waste packaging as possible. There will be a short break to allow students to use the restroom and eat a small snack to keep their energy up. Sliced fruits or veggies, raisins, nuts, crackers, cheese sticks all are great. Students should bring a water bottle with their name on it to use throughout the week, otherwise, bottled water can be purchased for $1.00. All Extended Childcare Students--Consider the length of time your child will be in extended childcare. You may need to pack an additional snack or two for them during that time. Consent is assumed for PMA to take photographs of students to use in brochures, web sites, posters, advertisements and other promotional materials that PMA creates. Permission is also granted for PMA to copyright such photographs in its name. If you wish for you or your child to be excluded from photographs, please complete a written request at our front office. No cell phones or electronic devises are allowed during camp instructional sessions. Devices will be kept at the front desk and may only be used there to call their family. We can always use volunteers! Check with our office to see what our needs are and let us know the ways that you can help out. Please feel free to drop by the front desk, call us at the number below, or send us an email. The front desk is staffed during all camps in addition to the onsite teaching staff.